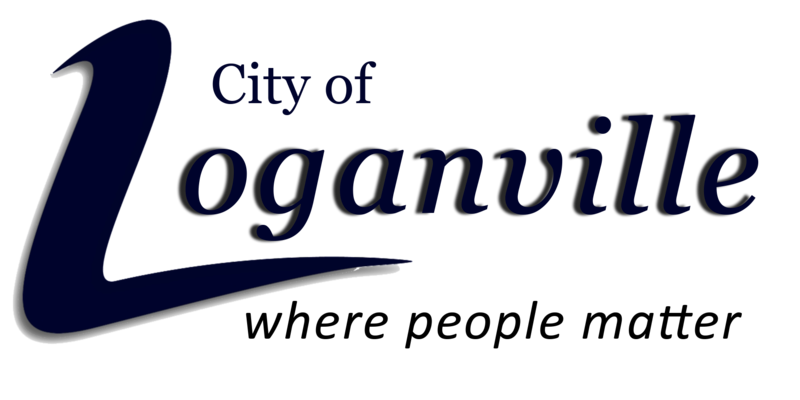 To START NEW residential Water / Sewer and Sanitation services with the City of Loganville, you must come to City Hall to complete an application and schedule a connection date. Please make sure that you have all the necessary documentation. To TRANSFER utilities service, you must visit Loganville City Hall. To DISCONNECT utilities service, you may call or come to Loganville City Hall. Residential GARBAGE SERVICE will be set up at the time of new utility service. Residential garbage service is billed through your Utility Bill at a monthly cost of $15.00. Senior citizens are $13.25 monthly. To request additional garbage cans or replacement of broken garbage or recycling cans you may call 770-466-1165 or email For More Information CLICK HERE. The Water Quality Control Division, provides the resources and programs necessary to adequately monitor and protect the quality of our community’s water resources, including both public drinking water and water discharged to our streams, and the sanitary sewer and storm drain systems. The Water Quality Control Division accepts and supervise administration of loans and grants for projects to enhance the infrastructure of the city’s utility systems. Present regulations for adoption of comprehensive water quality management programs, develop water quality standards measures to be taken to prevent water pollution and monitor water quality. 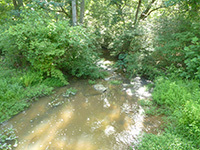 Our mission is to operate and implement water pollution control programs as required by Federal and State laws ensuring compliance by both the City of Loganville and those dischargers regulated by the City. Our goals are to control the quality of discharges to the wastewater collection system through assisting all departments with inspections, monitoring, and permitting; ensure compliance with all applicable Federal and State water quality discharge requirements. To monitor and evaluate drinking water quality, ensuring City compliance with all applicable Federal and State regulations governing drinking water quality. The City of Loganville Water Quality Control Facility is located at 4895 Hwy. 81 North, Loganville, GA. 30052. The facility currently operates under two National Pollutant Discharge Elimination System (NPDES) permit issued by GAEPD. The first permit allows the facility to discharge up to 1.75 million gallons per day (MGD) to Big Flat Creek. Second permit allows the facility to spray irrigate .250 million gallons per day on to it’s 40 acre LAS fields. The Facility is currently being expanded and retrofitted to meet the needs of future generations. This plant expansion will also introduce several new technologies designed to produce high quality effluent water and increase the plant’s efficiency. Sealed firm price quotes will be received by the City of Loganville, Georgia at City Hall 4303 Lawrenceville Rd. Loganville, Ga. 30052 until July 27, 2018 at 10:00 a.m. The quotes will be publicly opened and read aloud at this time. Firm Price Quotes received after this date and time will not be accepted and returned to the bidder’s unopened. 3.33 MGD expansion to the existing wastewater treatment facility. A copy of the Process Equipment requirements may be obtained from The Engineer Group office shown above. Who runs the Water Quality Facility? Highly trained, experienced, State-certified treatment plant operators employed by the City of Loganville are on duty each day to oversee treatment plant processes, and react promptly to any unusual condition. Many controls of treatment processes are automated requiring a great deal of technical expertise. Other processes require manual controls which rely on the operator’s frequent physical presence to observe conditions and make adjustments. Weekends, holidays, and at the wee hours of the morning…operators are carefully monitoring every aspect of the facility. How reliable is the treatment facility? Reliability at the Water Quality Control Facility is very high. The plant is staffed each day and is monitored through our SCADA system 24 hours a day by operators who are able to respond to any situations that arise. Critical treatment processes are designed with redundant equipment, which means that if a mechanical or electrical component fails, a spare is waiting to take its place. Mechanical and electrical staff members are on-call 24 hours a day in case of a failure that requires their immediate assistance. Maintenance staff diligently cares for the equipment to predict and prevent breakdowns, further adding to the reliability of the facility. How is the quality of treated wastewater ensured? Our on-site instrumentation provides information and records data on the water quality around the clock. Information is collected and stored automatically in a database for evaluation by our operational process staff. Samples are collected and analyzed by certified laboratory technicians in our on-site, State-certified laboratory. This information is also added to our operational database. Independent laboratories periodically verify quality as well. What does a Water Quality Control Facility do? The Water Quality Control Facility remove impurities contained in wastewater so treated wastewater can be safely returned to the environment. This same stabilization process occurs in nature to break down wastewater into its most basic components of carbon dioxide and water. Common methods of treatment include physical, biological and chemical treatment steps to stabilize the wastewater. The City of Loganville’s Water Quality Control Facility is designed to accelerate and control nature’s process to insure proper treatment is provided. A portion of treated wastewater can be re-used for irrigation on our LAS hay fields or discharged to the Big Flat Creek. The Water Quality Control department is committed to making our city a greener place to live by supporting responsible designing of our facility and sustainable practices. The Water Quality Control Facility has invested in and established in projects designed to use byproducts of out treatment process to further support our environment. The Water Quality Control Facility generates about 100 Dry Tons per year of Class B digester sludge (“biosolids”). Our Bio-solids are safely applied to local farmland where they act as a beneficial amendment to farmland and an environmentally-friendly alternative to petroleum-based and chemical fertilizers. City of Loganville uses approximately 1 million gallons of water per day. Backflow Prevention provides protection of the drinking water system from contaminants and pollutants that can come from cross connections and changes in the hydraulic conditions within the water system. The Backflow Prevention section oversees the specifications for backflow installation and inspection in the City of Loganville. For more information on backflow prevention, please call 770.466.1306. -Partnering with state, federal and regional water conservation organizations for effective best practices. -Educating and providing water conservation materials and methods. Can I water my yard every day? Yes. As of December 2010, Georgia state law allows residents to water any day of the week, regardless of your address, but only between the hours of 4:00 p.m. and 10:00 a.m.
Are the rules the same for car washing and pressure washing? No, for outdoor water use not related to landscape irrigation, you may use water any time of the day, any day of the week. What about the even/odd schedule based on my address? Does that still apply? No, the even/odd rules no longer apply during non-drought conditions. They are reinstated only when a Level Two Drought is declared by the State. If I water landscaping with a hose instead of a sprinkler, can I only water before 10:00 a.m. or after 4:00 p.m.? No, hand watering with a shut-off nozzle is allowed any time of the day, any day of the week. What if I put in new landscape? Do I have to water between 4:00 p.m. and 10:00 a.m.? No, newly installed landscape is also exempt from the hourly restrictions for the first 30 days following installation. However, 4:00 p.m. to 10:00 a.m. is still the most efficient time to water outdoors. During the heat of the day, sun and wind can cause up to 50 percent of the water to evaporate before it is absorbed by plants. What about drip irrigation or soaker hoses? Drip irrigation is highly efficient and therefore it is exempt from the 4:00 p.m. to 10:00 a.m. rule. It may be used any time, any day. Are parks included in the new schedule? Athletic fields and parks are exempt from the hourly restrictions. These areas may be watered any time of the day, any day of the week. Click here for more detailed water conservation explanations. As storm water flows over driveways, lawns, and sidewalks, it picks up debris, chemicals, dirt and other pollutants. Anything that enters a storm sewer system is discharged, untreated, into the water bodies we use for swimming, fishing, and providing drinking water. Polluted runoff is the nation’s greatest threat to clean water. The City of Loganville addressed this threat with the creation of the Storm Water Division in 2003. To meet increasing federal and state regulations, the City established a storm water Management Program in 2004 that includes numerous activities, such as: Public Education, Participation, Illicit Discharge Detection & Elimination, Construction Site Control, Post-Construction Management, and Pollution Prevention. A report on all storm water program activities performed is required to be submitted to the Georgia Environmental Protection Division on an annual basis. Successful implementation of this program designed to ensure clean streams and lakes to meet our drinking water needs, recreational desires and a high quality of life requires the combined commitment of all local residents, businesses, developers and government officials and staff. Thank you for helping us protect our critical water resources! The Waste Water Collections Division currently maintains an estimated 53 miles of sanitary sewer lines, 1400 sewer manholes, and 24 sewer pump stations. Maintenance procedures include jetting and flushing lines, t.v. testing of lines, pump station preventative maintenance, smoke testing and dye testing.